– is the child holding a book close whilst reading ? – do the eyes appear misaligned when the child gazes around ? – is the child irritable and short tempered when attempting to read ? – is the child clumsy and bumps into objects ? – does one skip words when reading ? – does one skip entire lines ? – does the child substitute words with something that is not there ? – confuses beginnings or endings of words ? – is one frowning or squinting when reading or viewing objects far away ? – are letters reversed ie b mistaken for d ,or p for q (grade 1-2) ? – difficulty writing on the line ? – difficulty copying from the board ? – tracing skills are poor ? This list of questions are useful to ask when bringing a child for an assessment with our optometrist. Please be mindful young children rarely complain of visual problems. How they perceive the world is normal to them, and thus may not have the best vision or vision processing skills they need. 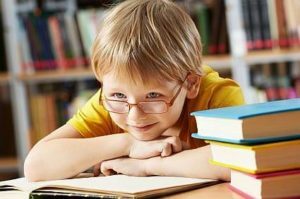 We can assist not only with spectacles but also vision training and visual therapy necessary to boost your child’s performance.